York 1 started the 2017 season’s Fulford Ladies Invitation Tennis League as they finished the last one; a heavy defeat of Pocklington sees them in their familiar position at the top of division 1. Bishopthorpe were the other big winners in the top flight, Ellie Page & Laura Rhodes (pictured), scoring 32 games, in their victory over an under-par Popp squad. Newly promoted teams Castlegarth and Fulford met at Wetherby, with the home team edging a 60-48 victory. In division 2, scores of twenty plus from all three of David Lloyd’s pairs led them to a comfortable win over Castlegarth 2. A thirty-game haul from Sue Espiner and Eleanor Bradshaw edged Wig to victory at Dunnington, whilst Rufforth had a comfortable 69-39 win over Boston Spa. Pocklington 2 started life in division 3 with a comprehensive victory at Cliffe, Alice Mowforth and Cordie Cavill were the week’s top scorers with 33 games. David Lloyd 2 eased past fellow promoted team Bubwith, 72-36, whilst Knaresborough 1 defeated Fulford seconds. A good all round team performance enabled Tollerton to beat New Earswick in division 4, whilst Ann McCreesh and Sandy Clough led the way in Boston Spa’s win at Appleton. Heworth began their campaign with a close victory at Sutton. Wig 2 thumped Cawood 86-22 in the opening week’s biggest win so top division 5. 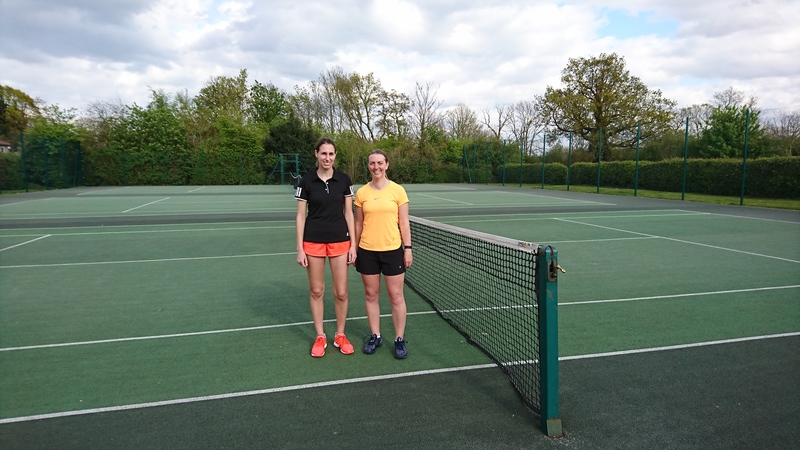 Sophie Marshman and Michelle Hall took 25 games to help Riccall to a narrow victory over David Lloyd 3. Fulford 3 got the better of Dunnington with a 66-42 win. Popp 3 top division 6 after a 69-39 victory over David Lloyd 4 and Copmanthorpe defeated Knaresborough 66-42. Division 1: Castlegarth 1 60, Fulford 1 40; Pocklington 1 27, York 1 81 (L.Marshman & W. Stirke 31); Bishopthorpe 1 76 (E. Page & L. Rhodes 32), Poppleton 1 32; York 2 31, Dunnington 1 77 (E. Loten & A. Bolam 30). Division 2: Dunnington 2 50, Wigginton 1 58 (S.Espiner & E. Bradshaw 30); David Lloyd 1 72, Castlegarth 2 36; Rufforth 1 69, Boston Spa 39; Wistow 58, Starbeck 50. Division 3: Bubwith 1 36, Davis Lloyd 2 72 (D.Holman & L. Fawcett 29); Cliffe 27, Pocklington 2 81 (A.Mowforth & C.Cavill 33); Knaresborough 1 69, Fulford 2 39; Rowntree Park 12, Copmanthorpe 1 96. Division 4: Tollerton 62, New Earswick 46; Appleton Roebuck 1 43, Boston Spa 2 65; Sutton Upon Derwent 51, Heworth 57; Poppleton 2 56, Bishopthorpe 2 52. Division 5: David Lloyd 3 49, Riccall 59; Wigginton 2 86, Cawood 22; Fulford 3 66, Dunnington 3 42. Division 6: Poppleton 3 69, David Lloyd 4 39; Copmanthorpe 2 66, Knaresborough 2 42; Dunnington 4 47, Sheriff Hutton 61.